We're re-releasing the very first snowman duo that started our dancing, singing snowmen tradition! The whole family will love gathering around to hear their version of “We Wish You a Merry Christmas”. 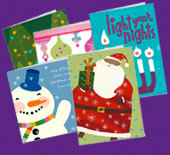 Other coordinating products such as ornaments and puzzles also available. 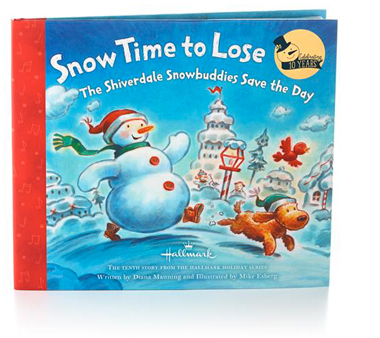 This 10th book in the Snowman series will become a library favourite during the holidays and beyond! Kids will love the story about saving the Christmas Eve Sing-Along. *Offer valid on all Hallmark branded Snow Globes priced $16.95 or more. Coupon must be presented at time of purchase. Offer valid until 11/28/13 while supplies last at participating Hallmark Gold Crown stores in Canada, excluding Quebec. Retailer has the right to limit quantities. Tax not included. Sales receipt must accompany any returns. 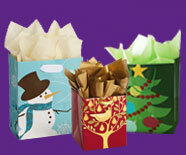 **Offer valid until 12/24/13 while supplies last at participating Hallmark Gold Crown stores in Canada, excluding Quebec. Retailer has the right to limit quantities.